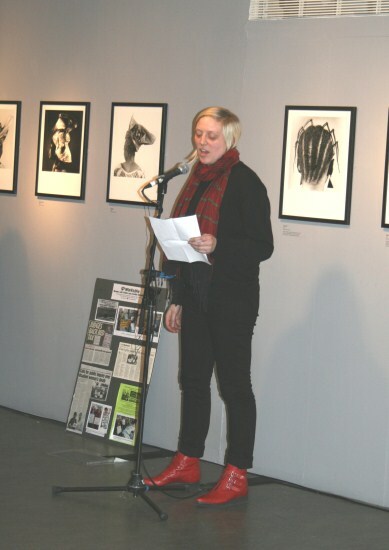 Charlotte Gage: speech at WOW party! Thanks to Sisters of Frida for asking me to speak but really I want to thank them for their involvement in the reporting process for the examination of the UK Government under the International Bill of Rights for Women (CEDAW) last year. It was really important to have Sisters of Frida involved from the beginning as part of the working group for the report that went to the UN Committee and to ensure that the issues facing disabled women in the UK were included in this. As well as a specific appendix on disabled women, which I hope will also be used for the International Disability Convention which the UK Government is being examined under this year. It was also really important to have Eleanor and Eleanor from Sisters of Frida at the examination in Geneva last July lobbying the Committee on disabled women’s issues and being a part of the UK delegation. And the results of this work (report written by Armineh Soorenian) can be seen in the recommendations made by the UN Committee to the UK Government which include specific references to disabled women in terms of disabled women’s representation in decision-making, access to employment and access to healthcare, particularly prenatal and reproductive health services. So it is really great to be able to celebrate with Sisters of Frida tonight and to look forward to more important work ensuring that disabled women’s rights are realised!